A doctor and a patient consult at an ILANS medical clinic in Bogota, Colombia. The ILANS network of clinics is owned by cannabis company Khiron Life Sciences. Khiron Life Sciences has already established itself in Latin America as a leading supplier of safe, effective and evidence-based cannabis products. Now, the company has set its sights on the US and European medical cannabis market – could this bring a dynamic change to the global landscape of medicinal cannabis products? What do you know about Khiron Life Sciences? A vertically integrated cannabis leader with global growth, Khiron Life Sciences targets a market of 620 million people in Latin America. With operations in Colombia and a presence in Uruguay, Chile, Peru and Mexico, in addition to access to Brazil through the Mercosur Regional Free Trade Bloc, the company has also most recently announced plans to enter the US consumer market through a joint venture agreement. The company has cultivation capabilities in multiple jurisdictions and is engaged in the production, distribution, marketing and export of products with THC and CBD cannabis. Khiron is leading scientific research, clinical trials and education programmes, owns and operates a network of medical clinics in Colombia that treat 100,000 patients annually, and holds endorsements from the foremost medical associations in the region. Khiron’s Kuida® cosmeceutical brand, the first mass-market branded CBD skincare line in Colombia, targets non-medical consumers, is marketed through retail and online channels across Colombia, and is positioned to enter the Mexico, Peru and US markets. Kuida forms the basis of the company’s wellness unit. The company has a highly experienced management team and influential board representation including the 55th president of Mexico and former CEO of Coca Cola Mexico, Vicente Fox, and global retail brand entrepreneur Joseph Mimran, who sits on the board of the company’s Colombia subsidiary. With corporate offices in Bogota, Colombia, and over 200 employees, Khiron is listed on the TSXV exchange (KHRN), Frankfurt (A2JMZC) and the OTCQB market (KHRNF). Khiron Life Sciences was founded in 2016 by Andres Galofre and Alvaro Torres (pictured here). Founded by Alvaro Torres and Andrés Galofre in 2016, Khiron Life Sciences first began to take shape with the shift in cannabis legalisation in Colombia. As cannabis was legalised for medical usage in the country in 2015, Torres and Galofre saw an opportunity to develop differentiated, high-quality medicinal cannabis products which would be targeted to the medical needs of the domestic market in Latin America. Torres and Galofre brought over 20 years of combined business experience and individual expertise to the venture. As the former head of business development for SNC-Lavalin Colombia, Torres was instrumental in growing the company from two people to more than 2,000 people over the course of three years. Similarly, co-founder Galofre was integral in leading the launch of Advil in the Colombian market, which rapidly gained a 28% market share in the country. Galofre has 15 years of experience in pharmaceutical marketing, brand management and distribution of prescription drugs and consumer products in Latin America. 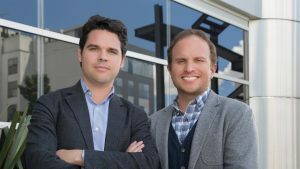 Combining their expertise in infrastructure, business development and consumer brand management, the duo sought to build a sustainable brand and business model that embraces the entire plant-to-patient spectrum of the medicinal cannabis sector. From regulation and compliance to cultivation and growth, to marketing and sales and medical community and patient education, Khiron is focused on giving patients a better quality of life through its service and its products. Khiron’s mission is to offer the safest and most effective medicinal cannabis option for patients by providing consistently safe products that have been developed based on extensive medical knowledge, research and innovation to improve patient quality of life. The company’s patient-oriented approach includes working with healthcare professionals to offer patients alternatives to existing pain medications, many of which are therapeutically ineffective or highly addictive in nature, or both. Khiron promotes medicinal cannabis as a safe, effective and affordable solution to meet the unmet medical needs of the Latin American population and as an alternative to the use of opioids. Khiron’s core phytotherapeutics unit is focused on the development of medicinal cannabis products that will improve the quality of life for 68 million patients across the Latin America region (Source: QuintileIMS). Its phytotherapeutic products aim to deliver the benefits of medicinal cannabis consistently, innovatively and affordably, and are targeted to address the main symptoms associated with common ailments including depression, anxiety, epilepsy and chronic pain. Khiron is currently developing a variety of specific formulations of THC and CBD compounds for patients that will be available both over the counter and by prescription. It has a portfolio of more than 25 varieties that are currently under Colombian conditions evaluation in order to build a full agronomic and chemical profile of each variety and gain information to treat different medical conditions. The company’s products are produced utilising standard operating procedures for medicinal cannabis, medical-grade varieties and GMP-compliant methods of extraction and product formulation. In the domestic market of Colombia and Latin America, Khiron will primarily distribute its products through a regional network of physicians that is being built in co-ordination with the region’s most respected medical associations. Khiron’s wellness business unit is focused on cosmeceutical and nutraceutical products, offering the full benefits of cannabis to consumers across Latin America. The wellness unit was introduced with the launch of its initial consumer brand Kuida, the first mass-market CBD brand in Colombia that brings the benefits of cannabidiol to a comprehensive portfolio of skin and body care products for women. Since its introduction, Kuida has been distributed across Colombia through retail, wholesale and online channels. Khiron views clinics as a core element of its overall strategy to create doctor/patient and brand loyalty through in-person education and consultation. The company has established the Khiron clinics unit with the aim of giving patients alternative treatments, from existing medicines to the safer and more effective alternative of cannabinoids, and building a robust network of affiliated clinics and doctors across Latin America. One of the cornerstones of the Khiron clinics business unit is the Latin American Institute of Neurology and the Nervous System. ILANS is one of the most respected and largest health service network providers in Colombia. With two well-established and large neurological clinics located in Bogota and 60 licensed physicians and clinicians, the ILANS network serviced an estimated 100,000 patients throughout 2018. Further, Khiron has also initiated the rollout of its own branded clinics, known as Zerenia. By establishing a strong retail presence in major metropolitan areas of Colombia to educate and inform patients on medicinal cannabis, these clinics help to build strong brand awareness for Khiron and further establish a patient/doctor database to be used for future expansion and development. As clinical research continues to build in support of the use of medicinal cannabis as a complementary treatment for medical conditions such as chronic pain and palliative care, Khiron has recognised the need to actively involve healthcare providers in sharing updated, comprehensive and reliable knowledge, and in applying this information to meet patient needs in Colombia, Mexico and across Latin America. For this reason, Khiron has established a medical education programme across Colombia, Mexico and Chile, with plans for future expansion across Latin America. The education programme includes Khiron-hosted and sponsored events and conferences, which are organised in partnership with leading medical associations, including the Colombian Association of Neurology, Colombian Association of Internal Medicine, Colombian Association of Palliative Care, Colombian Association for the Study of Pain, Mexican College of Internal Medicine and Mexican Academy of Neurology, in order to educate physicians about medicinal cannabis and medicinal cannabis products. Events are education based, with global research and insight on medicinal cannabis and information platforms to support doctors and healthcare professionals in providing medicinal cannabis treatment options. Furthermore, Khiron has launched an e-learning platform with scientific and academic information about cannabis to contribute towards health professionals‘ continuous education. The launch of this medical education programme is integral to the Khiron business model and to the company’s strategy to build a network of doctors and healthcare professionals across Latin America. Kuida, a line of CBD-based cosmeceuticals products, was launched by Khiron Life Sciences in 2018. Khiron operates in Colombia and has a presence in Uruguay, Chile, Peru and Mexico, and has gained access to Brazil through the Mercosur Regional Free Trade Bloc, and, most recently, has also announced plans to enter the US consumer market through a joint venture agreement with Dixie Brands. Collectively, these markets represent more than 75% of the total Latin American population of 620 million people, plus almost 60 million Hispanic US citizens that represent the company’s initial focus in that market. In Colombia, where Khiron is based, the company operates a 1,900,000-square-foot site in Ibague. With a total cultivation capacity of 100,000kg per year, these facilities include a Phase 1A state-of-the-art 80,000-square-foot greenhouse. Located in a highly secure region of Colombia, the cultivation site has an ideal climate profile, abundance of water, power and skilled labour to scale cultivation. In its production and cultivation processes, the company has further developed and follows an extremely stringent legal framework that includes being the first medicinal cannabis producer in Colombia to implement US Drug Enforcement Agency (DEA) level security protocols. Khiron is fully licensed by Colombian authorities to cultivate, produce, distribute domestically and export internationally both tetrahydrocannabinol and cannabidiol medicinal cannabis. 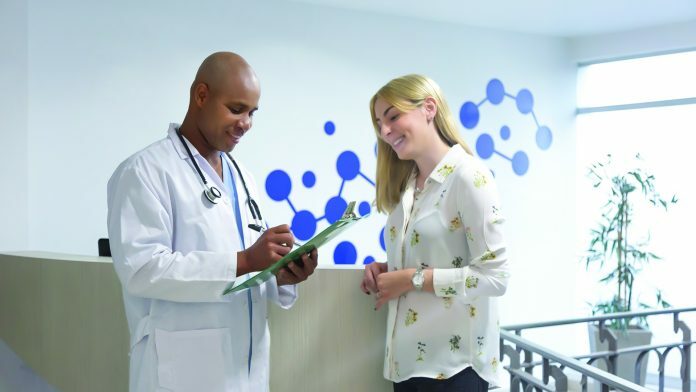 In Colombia, the company has also begun educating and interacting with local institutions and medical associations, while also engaging key opinion leaders in the space. These programmes are aimed at reaching the country’s estimated market of six million potential patients. With 1.8 million potential patients (Source: Quintiles IMS), Chile has an established medicinal cannabis culture and was the first country in Latin America to adopt legislation to allow the cultivation of cannabis for medical purposes. Subject to TSX approval, Khiron has also entered the Chilean market through a partnership with Fundación Daya, the first medicinal cannabis permit holder in Chile. Through this collaboration, Khiron has entered the market with DayaCann’s available cultivation capacity to participate in clinical trials and to develop and distribute medicinal cannabis products across Chile. Under the agreement, Khiron and Fundación Daya have agreed to cultivate up to 1000kg of dried flower to be used to formulate two products targeting patients with neuropathic pain and epilepsy. Through its acquisition of NettaGrowth International Inc. (subject to TSX approval), Khiron is also present in Uruguay, its third cultivation jurisdiction in Latin America. NettaGro currently owns Dormul, which has obtained the first licence to produce medicinal cannabis with THC for commercialisation in Uruguay. Through Dormul, Khiron will be licensed to grow up to 120,000kg of medicinal cannabis in an initial 540,000-square-foot area located in Juan Lacaze. Its agreement with NettaGro in Uruguay also allows the company access to an export market of Southern Brazil through the Mercosur Regional Free Trade Bloc. Production in Uruguay will concentrate on servicing the medical needs of the 75 million population in the Southern Brazilian region. Peru is the sixth country in Latin America to create a legalised medicinal cannabis environment with laws that allow for the production, import and commercial sale of cannabis for medical use. The company has received approval to commercialise four key products in the company’s Kuida CBD cosmeceutical product line in Peru. This approval by Peru’s executive director of the Directorate of Medical Devices and Health Products of the General Directorate of Medications, Supplies and Drugs (DIGEMID) brings Kuida products to a population of 32 million people in Peru. In Mexico, Khiron is well positioned to reach the market of 11.7 million potential patients for medicinal cannabis (Source: Quintile IMS). The company is working closely with Centro Fox, a think tank founded by Fox that concentrates its efforts on creating a new understanding about medicinal cannabis within the patient and medical community in Mexico. In April 2019, Khiron Life Sciences and Centro Fox will co-host the CannaMexico World Summit, an international summit focused on showing the potential of the cannabis industry in Mexico. The conference will bring together leaders from the public, scientific and business sectors for an in-depth exploration of legal regulations, market opportunities, medical advances, innovation and wellness. As part of a joint venture agreement with Dixie Brands Inc. (subject to TSX approval), Khiron Life Sciences is also positioned to enter the US market for consumer cannabis products. Under the agreement, Dixie will also manufacture and distribute Khiron’s Kuida brand of CBD-based cosmeceuticals in the multibillion-dollar US cosmetic market. Kuida will be one of the first CBD brands targeting the US Hispanic population, estimated at almost 60 million. 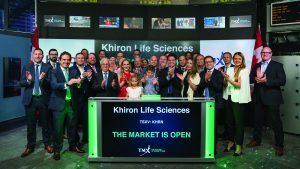 Khiron Life Sciences Corp. commenced trading on TSX Venture Exchange on May 24, 2018. In September 2018, Khiron entered the Chilean market through a memorandum of understanding with Fundación Daya, the first medicinal cannabis permit holder in Chile.The permit is held through DayaCann, a joint venture between Fundación Daya and AusCann Group Holding Ltd. In January 2019, Khiron announces a joint venture with Dixie Brands, one of the cannabis industry’s leading consumer packaged goods company, to manufacture and distribute Khiron’s Kuida brand of CBD-based cosmeceuticals in the multibillion-dollar US cosmetic market.